In a medically-advanced society, pharmaceutical drugs are common choices for the treatment of different health problems. After all, they are prescribed and recommended by medical professionals, which is why many people believe they can actually prove to be effective. However, while they may actually cure you from a specific illness, it is inevitable that they can also be damaging to your health. Worse, some are even reported to be a precursor of other serious health problems, which can be harder to treat. Annually, there are millions of visits in hospitals reported to be because of an adverse reaction from pharmaceutical medicine. This is quite alarming, and has given some people sufficient reason to stop its use and instead resort into alternative natural medicine, which is asserted to be safe while also being able to be effective. 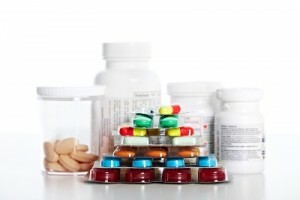 In the rest of this article, you will learn how pharmaceutical medicines are actually doing your health harm and not just the good often marketed by those manufacturing them. This is perhaps one of the most significant reasons to avoid pharmaceutical drugs. While this is not a general statement, more often than not, you are ignorant about what ingredients are used in a specific drug, which renders it impossible to determine if they have a certain level of toxicity or none. Of course, the manufacturers of the medicine will try as much to promote only how they are beneficial for your health and will try to conceal the hidden truth, including the toxicity of the ingredients they are using. These toxic chemicals, at worst, can lead into death. In more common cases, they lead into allergic reactions, such as other illnesses. While they are made for the purpose of treating a specific disease, there is always no assurance that they will not lead into another disease totally different from what it promises to cure. The pharmaceutical drugs given by doctors are meant to be taken only for a short period of time, specifically what has been specified. The problem, however, is that some people are developing a tendency to be dependent on it, and hence, develop an addition towards the drug. 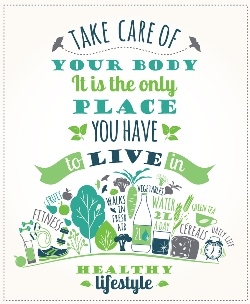 They find it hard to live without taking it, even if its prolonged intake can be dangerous to one’s health. This is most common in the case of medicines used for the treatment of pain, insomnia, and depression, among others. There are instances wherein it can be as addictive as an illegal drug. The misuse of pharmaceutical drugs is a serious problem and anyone who misused such may end up in the emergency room. Once a prescription has been written, the doctor has no control on who uses it. Sometimes, it can be given by the patient to other people who are suffering the same condition as theirs, even in the absence of proper diagnosis. A group of friends might even share the same medicine even if it is not prescribed specifically for one of them. With its misuse, its danger to your health will be more serious. When you have a supply of pharmaceutical drugs in your house, you often forget about when and how to take them. There are instances wherein you might be taking them more than what you have been instructed by your doctor, and hence, making overdose a possibility. While some people may have higher tolerance for over dosage, this is affected by one’s age, the nature of the drug, and the person’s general health condition, among others. There are cases wherein it can lead into death, damaging other organs, or even minor health problems others chose to ignore. The FDA, the agency that regulates the medicines in the market, will test a specific drug on the basis of what it is meant to be used for. However, while when a certain drug has been approved, the agency does not test the dangers that can be posed by taking two different drugs at a time. Sadly, most patients do not just take a single medicine for the treatment of their condition. Some even combine prescription drugs with over-the-counter drugs without knowing how their interaction could be a danger in ways more than one.